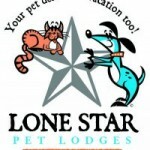 At Lone Star Pet Lodges© we believe, “YOUR PET DESERVES A VACATION TOO!” Our Lone Star Pet Lodges© boarding and grooming facility located at 3207 Williamsburg Lane in Missouri City, Texas offers full-service dog, cat, small mammal, small reptile and bird Boarding, Grooming, Training and DayCamp services that can be tailored to you and your pet’s specific needs. 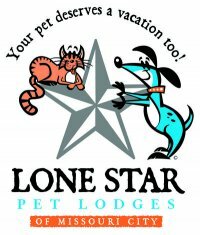 You can reach our Missouri City Lodge by calling (281) 403-7700. Here are five Summer Grooming Tips guaranteed to make summer with your pooch a little more enjoyable. It’s not too early to get a summer shave down. Tick season is upon us again, so be sure to stock up on preventatives. You can pick up your Advantix right in the Lodge. If you see fleas or ticks on your dog call us right away for a flea or tick bath. Be sure to brush your dogs more often this time of year, or come in for a special de-shed treatment to help them shed out those winter under-coats. Getting rid of all that loose fur will help them stay cool and comfortable this summer and make vacuuming easier too! If your dog is in the pool more often than you are…be sure to keep a regular bath scheduled once a month and use a conditioner so the constant exposure to chlorine isn’t damaging their fur.